Doing social media is super time consuming and boring. 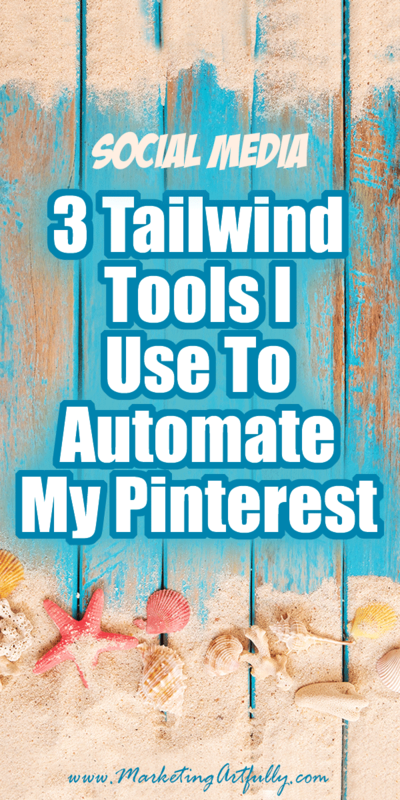 Luckily Tailwind for Pinterest has our backs and has made a set of tools that help to automate the whole process with just a wee bit of work! Here are my favorites, most practical to the most amazing freaking thing ever (with actual results shown)! This is not a promoted post from Tailwind, I just LOVE, LOVE, LOVE this service. I have included my affiliate link in case you want to sign up and get going! One of the hardest things about social media marketing in general is figuring out a good mix of sharing your posts or products and other people’s content. I have heard as high as sharing 20% of your own posts or products and 80% of other people’s but that seems really high to me. YES! I want to be a good friend, but on the other hand I really need to get views and make sales for my businesses. I tend to share about 40/60… half mine and half-ish other peoples. Now this really depends on how much variety you have of your own content. If you have a new blog or Etsy store and only have 20 or so different posts or products to share, then you are going to have to fill in with other people’s until you get to a critical mass. I have been blogging for a long time so I have LOTS that I can share! 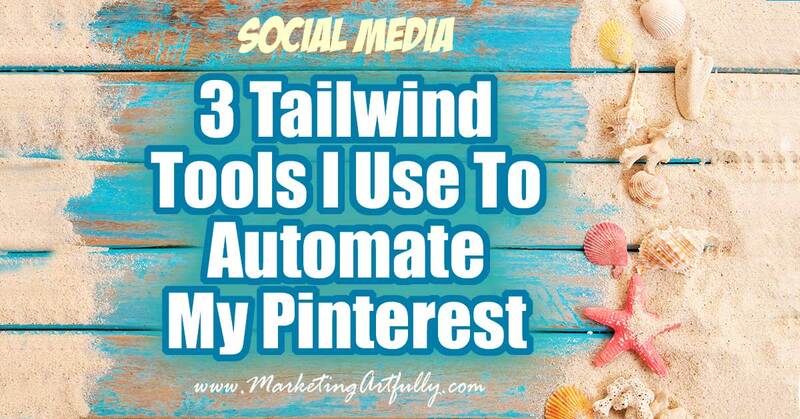 I use the Tailwind scheduler feature to post other people’s content! It is a super cool way to “set it and forget it” for a while. So I have 25 pins set to go out today, 9 of which are other peoples. Now, I could use those recommended times to send out even more pins, but I like to keep my pins to around 25-30 per day. Seeing what is going on two ways…. On the first review side of the Tailwind Scheduler you can do all different kinds of editing, deleting, changing descriptions, etc. Lock – these are ones that I have hard coded to go out on a specific date at a specific time. This is great if you have an event coming up or a big sale that you want to promote on a certain date. Pushpin – these are the other people’s scheduled posts. If you are a control freak, this is your spot! You can see everything that is scheduled to post and make any changes you want. The second way to see your pins is by what is coming up visually. While you can’t really make changes to the pins you can SHUFFLE the queue if you see that you have a lot of other people’s pins in a weird order. 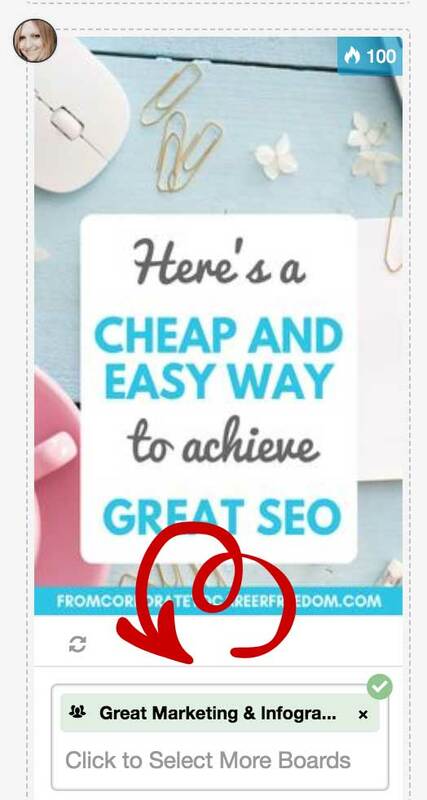 For example, my assistant does all the other people’s pins a couple of days a month and sometimes she pulls a few from the same website and they get all “bunched up”. A simple hit of the shuffle key rearranges them and no one is the wiser! The second cool tool Tailwind has is Tribes which allows you to share your content with other Tailwind users that have the same kinds of boards you do! As you can see, some are for blogging, some are for my Author posts and some are good for my Etsy posts! Most of the Tribes have “rules” about how much you can share your content. Many are 1 for 1, so if you share one other post, you can add yours to the mix of that Tribe. Here is a great example, I added this post about SEO to my Great Marketing & Infographics board. It is win win because that is one less post I have to go out and find to share AND that same Tribe is sharing my posts at the same time on their boards! Not having to go hunting all over the internet for stuff to share is great, but the best part is they share your posts too! Here is a pin I shared on Tribes yesterday. 5 people from this Tribe shared it and it has over 41 repins already. Now, there are some big Pinterest accounts out there who can get 41 repins overnight (heck they can get 4100 repins overnight) but I am not that popular on Pinterest. 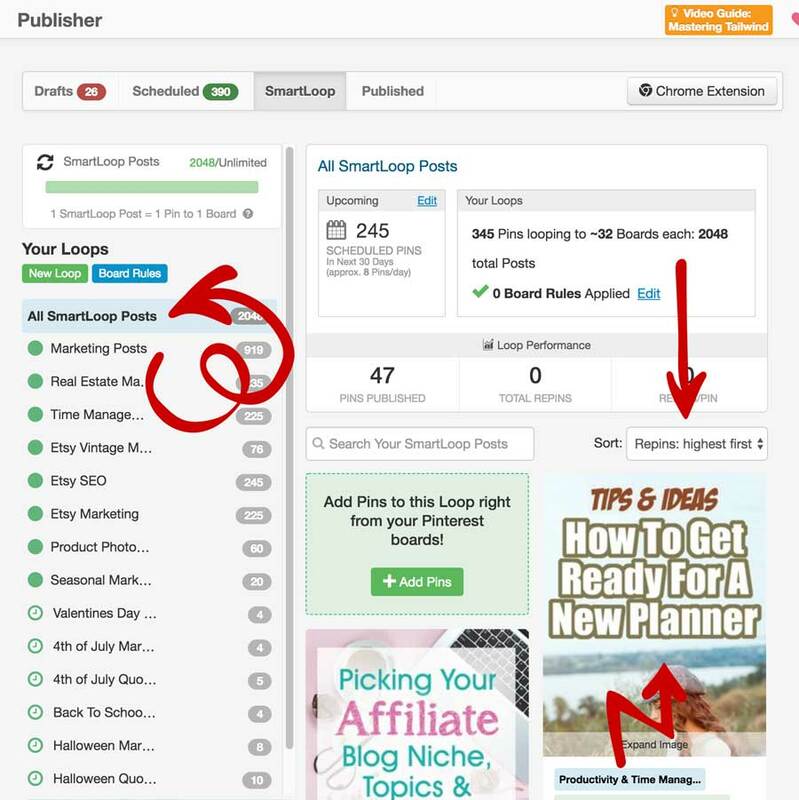 Having access to some of these big pinners who can share your content is a Godsend for little Pinterest accounts like mine! Okay, now we are down to the WICKED COOL, brand new, amazing new feature from Tailwind… LOOPING! All those colorful arrows above are “Looped Posts” that will go out over and over again without me doing anything but scheduling them once… wah wah! Well there are bloggers and Etsy sellers out there with HUGE spreadsheets and way more time and attention than I have who are dedicated to posting their old stuff regularly. BUT THAT’S NOT ME! I have occasionally posted old blog posts or products and gotten a wee bit of interest but I have always been focused on doing the hamster wheel… make new content, make new pins, post them out, rinse and repeat. Looping let’s my old posts get a new audience and more love from Pinterest. 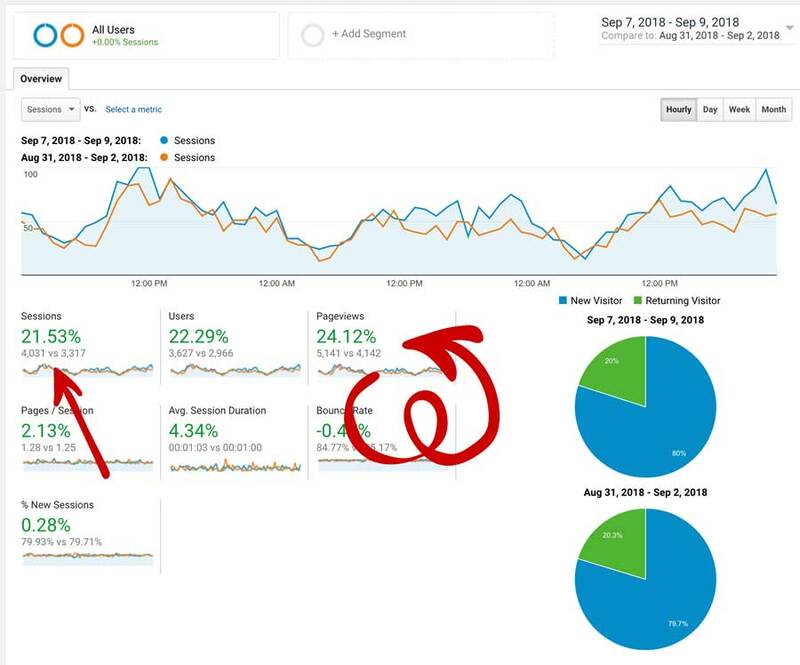 My sessions (people who came to my website) went up 21.53% and my pageviews increased 24.12%… are you freaking kidding me?!?! So how does Looping work? Loops – you set up loops for your types of pins. I have Etsy, time management, real estate agents and general marketing that I talk about. Pins – you add pins to the loop and select the specific boards you want them to go out on. 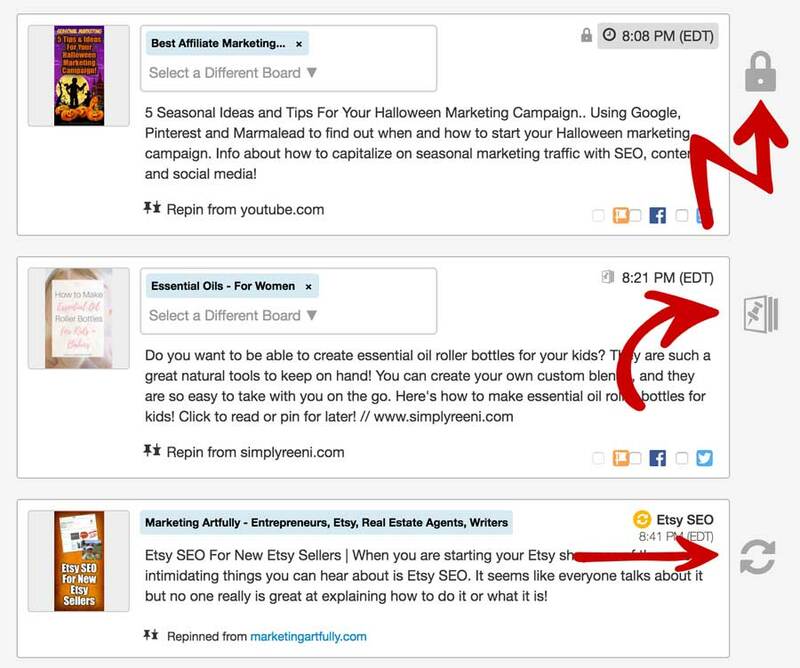 Sorting – you can use the sorting to see which pins are getting the most repins and attention. Honestly I found setting up the loops a bit kerfuffly, BUT after making one and taking it down and then making it again I got the hang of it and did all those Loops in about a day and half. So now, ALL my old pins are out there churning for years and years to come without me ever having to lift a finger again!!! You said “automate” but don’t you have to schedule pins? 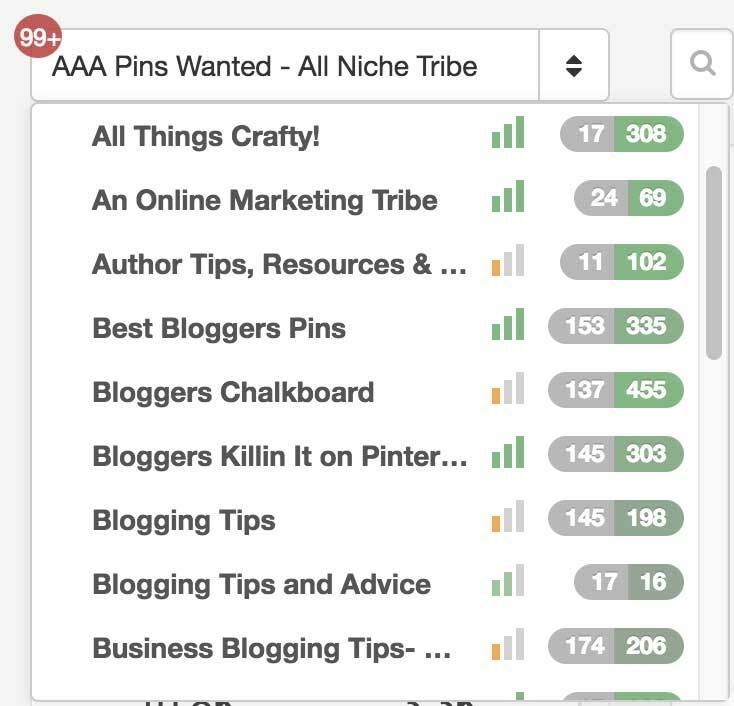 There are two ways you have to schedule pins… other people’s and your own when you write a new blog post or list a new product. My strategy for my new blog posts or products is to post them and then put them into some kind of scheduler to go out again. 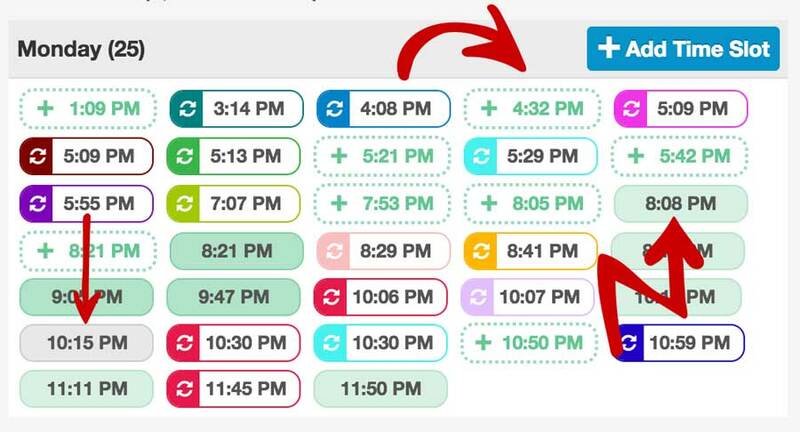 I use MeetEdgar for Facebook & Twitter and used to use the scheduler in Tailwind, now I just add it to a loop! For other people’s pins you can just batch this once or twice a month, loading it up and letting it run. Each feature has it’s own cost which is awesome since not everyone needs them all. 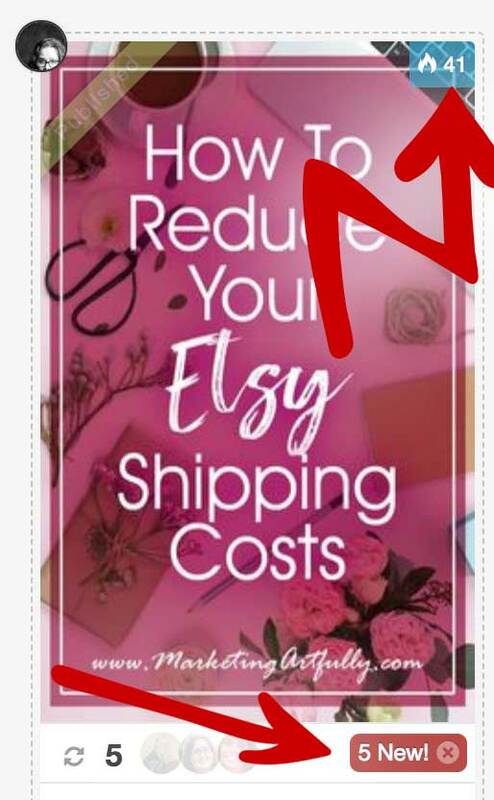 For example if you are a blogger, it is great to share your posts with the Tribes but if you are an Etsy seller then Looping your products might get you the best return on investment instead. I use all the tools since my business is internet based. Here is the price list for Tailwinds. Is Looping good for Etsy sellers? Doesn’t it take a LONG time to schedule other people’s pins? If you are struggling to find other people’s content to post I recommend you join the Tribes. 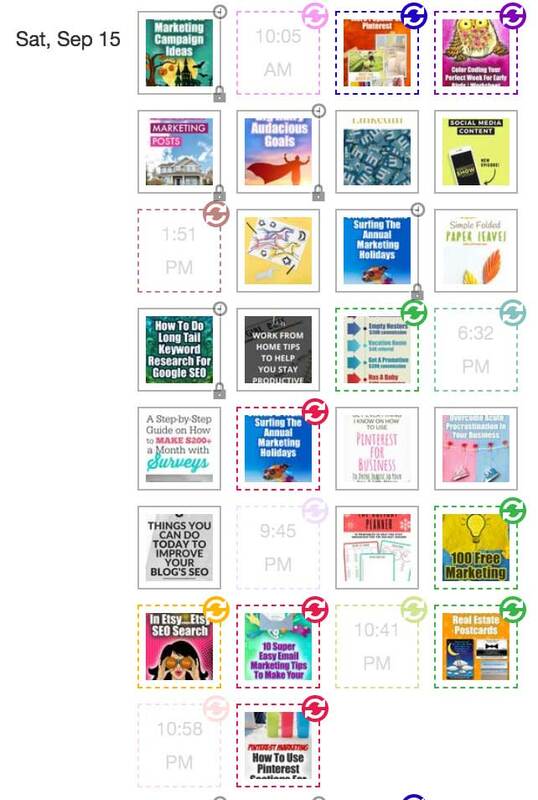 Instead of spending hours on the internet looking for great posts and then realizing they don’t have a Pinterest pin she can use, my assistant just goes into the Tribes and finds great content with pretty pins and does it in a few a hours a month! Didn’t some other company just get shut down for “looping” Pinterest pins? Yes, they did! The problem was that they weren’t working with Pinterest and were doing it in a way that was not approved. 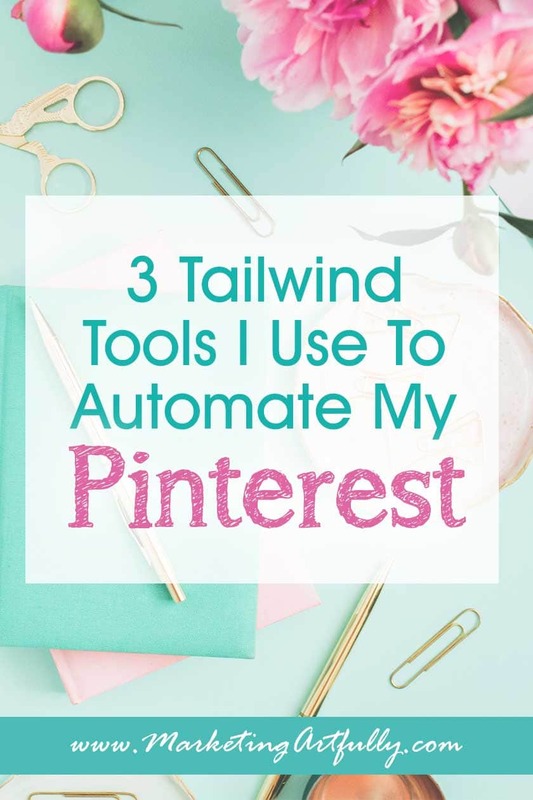 Tailwind is an approved partner and worked closely with Pinterest to make sure all the tools they provide are according to the terms of service!